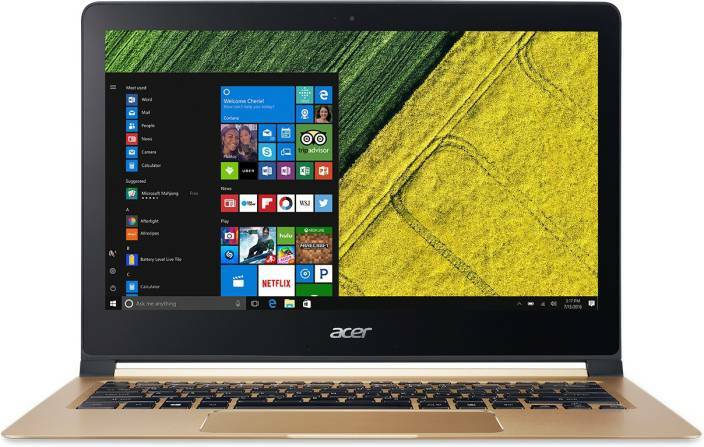 Acer launched Swift 7 Core – 7th GenUltrabook with 64Bit Core i5 - 7Y54 variant 1.2Ghz Processor with Turbo Boost upto 3.2Ghz. It includes Intel HD Graphics 615 GPU. 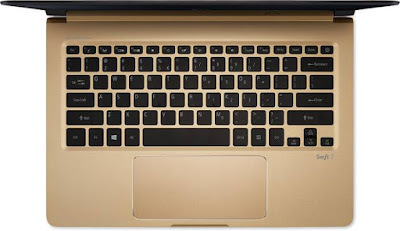 This 13.3Inch display Ultrabook comes with 8GB of DDR3 RAM that makes multitasking, gaming, surfing and internet browsing ultrafast and smooth it also packs a 256GB of Super Speed Disk Hard Drive storage in it that enhance the user experience it also helps for faster processing including fast data indexing and searching with blazing fast speed. With slim-sleek body it looks very premium and light in weight. 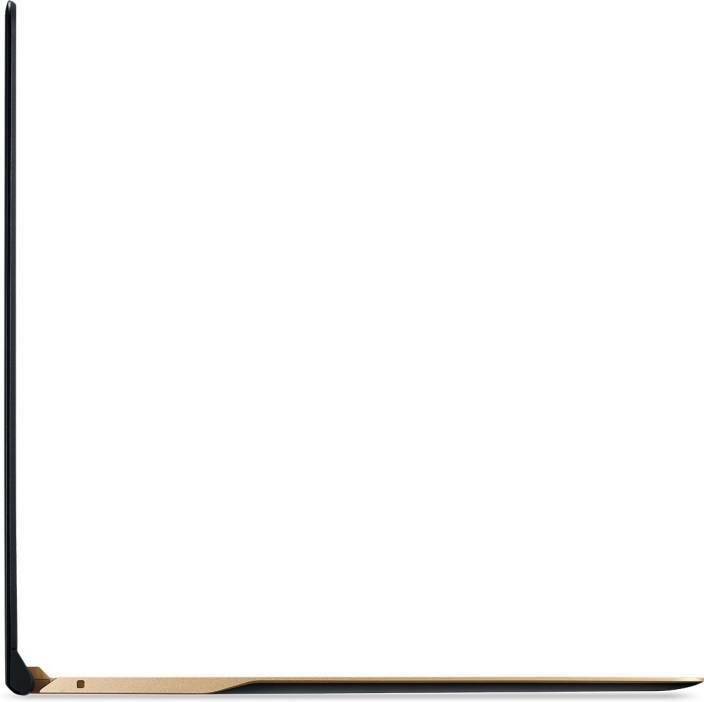 It has 13.3inch size Full High Definition IPS display with 1080p resolution. It is not touch responsive display. For operating it comes with Microsoft’s Windows10 Home Edition 64Bit Operating System. For text typing It equips a full size fine tip keyboard with International Language Support but it doesn’t support backlit keys. 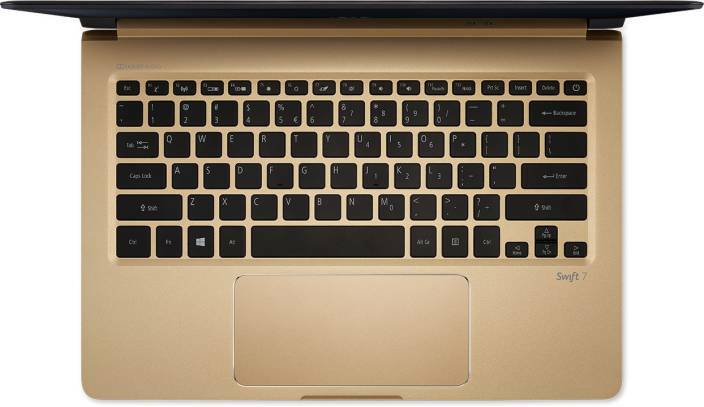 It also has Multi Gesture Touchpad with Microsoft Precision Touchpad Certification. It also has WebCam and Dual Microphones for Internet support. For sound two in-built speakers are mounted in its body that provides optimized Dolby Digital Plus Home Theater Audio Enhancement with Acer True Harmony+ Technology. Ports include in it are Mic, 2 USB v3.1 Type C port with DC-in that works with charging and SATA for hardware interface is also given in it. 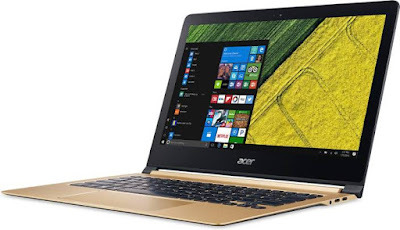 Connectivity features available in Acer Swift-7Ultrabook are Bluetooth v4.0, Ethernet 10/100/1000Mbps, Wireless LAN IEEE 802.11a/b/g/n/ac (2x2) MIMO. Additional features includes WebCam with 720p HD Audio/ Video Recording with HDR Mode, Acer Blue Light Shield Technology, Accelerometer(G Sensor), Wide Viewing Angle Screen with 170°. For power backup it packs a 2770mAh Lithium Ion Battery. Specifications of the battery 42.66Wh -15.4V – 4Cell Li-Ion Battery. It provides upto 9hrs. power backup on full single charging. 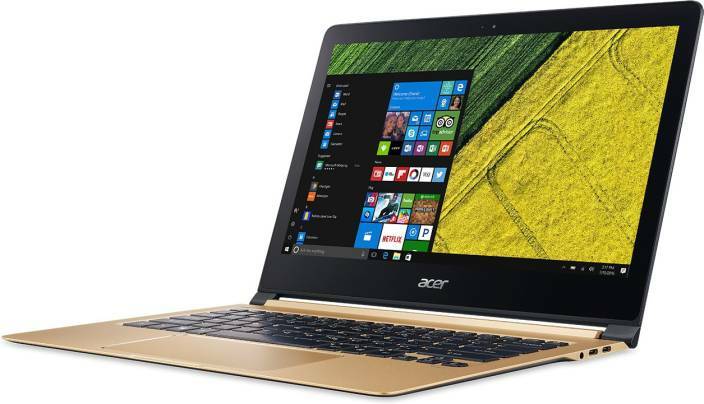 Dimension of the Acer Swift 7 Core Ultrabook 324.6mm x 229.6mm x 9.98mm and it weighs upto 1.125Kgs. Inbox items Ultrabook – Battery – Charging Adaptor – Charging Cable – User Manual – Warranty Card Laptop bag is not included. Price available : Rs.95,990/- Onsite warranty covered for One yr.